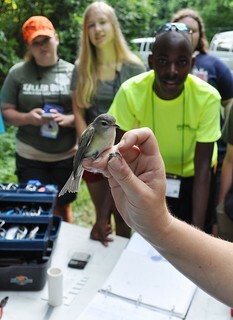 Are you a High School Student in 8th-12th Grade Wondering How to Spend Your Summer? Connect with the natural and cultural history of the Missouri river through adventure, exploration, and investigation. Discover the river ecosystems and the natural forces that shaped them. Understand how human choices have affected the river’s rhythm and flow. Knowledgeable and experienced instructors will guide you through hands-on activities that will give you the understanding, skills and confidence to enjoy, make use of and protect the Missouri River. Want to know what to expect? Download the information packet. This packet contains a schedule, lodging and dining information, a packing list, driving directions, travel information and general policies. During the Missouri River Academy, students will complete a Missouri River Action Project; Students will begin their individual projects by choosing an issue to explore and mapping its impact. Then he or she will focus on an issue-related goal and objective they can achieve in their community and develop a plan for getting community members involved. Family and Friends are invited to their Presentation! At the end of the Academy, students will present their project to an audience of engaged Missouri River advocates. Family and friends are welcome to come and learn about what issues on the Missouri River sparked your student’s interest and the plan that they have developed to address their issue in their community. The presentation will take place at the end of the Academy on Thursday, July 14th, at 1:00pm at the Old New Haven School Building, located at the 810 Maupin Ave, New Haven, MO 63068. 2. If you are not applying for financial aid, please complete the online enrollment process here or by calling 573.443.0292. Please have your payment information ready when enrolling. 3. After completing the enrollment/payment process, download a pdf of the registration packet, fill it out and mail to P.O. 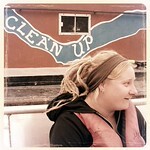 Box 463, Columbia, MO 65205 or e-mail to kristen@riverrelief.org. The packet contains the following forms: (a) student medical form, (b) general risk release form, (c) student standards of behavior agreement, and (d) travel form. We will begin awarding financial aid at the beginning of April and then continue making awards on a rolling basis until all available funds are awarded. We are typically able to notify financial aid applicants of the amount we are able to award within a month of receiving an application. The applicant will then be given a deadline and separate link to register for the course, do NOT register before you are notified of your award. Financial Aid Application Open – February 1 to June 8. Notification of awards begins April 15. Awards made on a rolling basis, apply early. The Missouri River Academy is managed by Kristen. 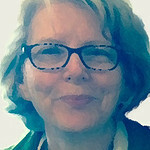 She is responsible for the planning, designing and implementation of the Academy. She had over nine years of experience in environmental education and a Master of Science in Natural Science Education from Teton Science Schools Residential Graduate Program. In addition, she has been certified for over seven years as a Wilderness First Responder. In her role at Missouri River Relief, she will work to advance our mission of connecting people to the Missouri River with an emphasis on education. Jan studied dinosaurs for her Masters and prairie spiders for her PhD, and did research on Missouri forest insects and spiders for several years after graduation. She was director of and taught in the Missouri Environmental Studies program for 17 years, and assistant science director and teacher for the MU Honors College for 9 years. 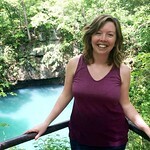 She now works for the Missouri Environmental Education Association developing and promoting environmental education resources in Missouri. Jeff has been involved in clean water issues for years, helping start Show-Me Clean Streams and Missouri River Relief to his work at Greenbelt Land Trust. Through the years, he has served as a coordinator and board member of Missouri River Relief. In addition, he is certified is American Red Cross Basic First Aid. 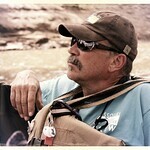 Jeff has a deep love of the Missouri River, and is a two-time veteran of the Missouri River 340 Paddle Race. 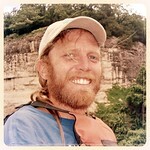 Steve lives in Columbia, Mo., a stone’s throw from the Missouri River. His love for the river developed from years of exploring its waters by canoe. He was drawn to Missouri River Relief as a volunteer at local clean-ups, later serving as an event coordinator, MegaScout coordinator, MRR board member and is currently the Lower Reach Manager, Steve coordinates the River Relief crew, manages the website and communications and organizes clean-ups across the state. He is also certified in American Red Cross Basic First Aid. Melanie has been a volunteer crewmember with Missouri River Relief since 2002, working on clean-ups, special projects, and educational events. As an AmeriCorps Stream Team Assistant she networked with Stream Teams in the area, developed education programs and helped coordinate events. She is also certified in American Red Cross Basic First Aid. Tucked away in the Missouri River Valley, is the community of New Haven, Missouri. 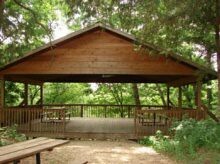 During the Missouri River Academy you will be mostly spending your time exploring the Missouri River, while staying at Camp Trinity, perfectly poised 4 miles from the Missouri River. During your stay you will enjoy the shade of the oak trees and the cool water of the in-ground swimming pool. 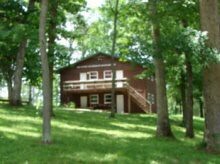 During the Missouri River Academy, you will stay in a lodge. Each air conditioned room will sleep 5 students, with 5 bunkbeds; each room has a shared bathroom. The lodge rooms are simple and comfortable without the distractions of televisions or phones. 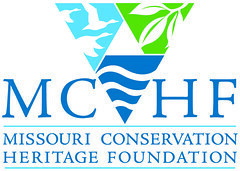 This program is supported by the U.S. Environmental Protection Agency -Region 7 and the Missouri Conservation Heritage Foundation. 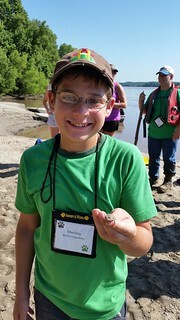 The program is developed and implement by Missouri River Relief, a non-profit dedicated to connecting people to the Missouri River through hands-on, on-the-river clean-ups and education events, in partnership with the Missouri Environmental Education Association.